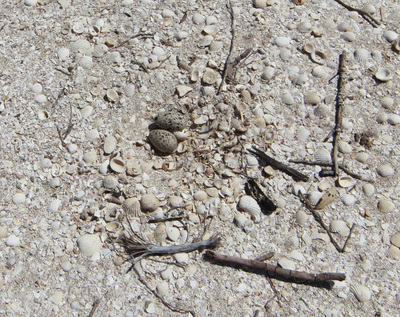 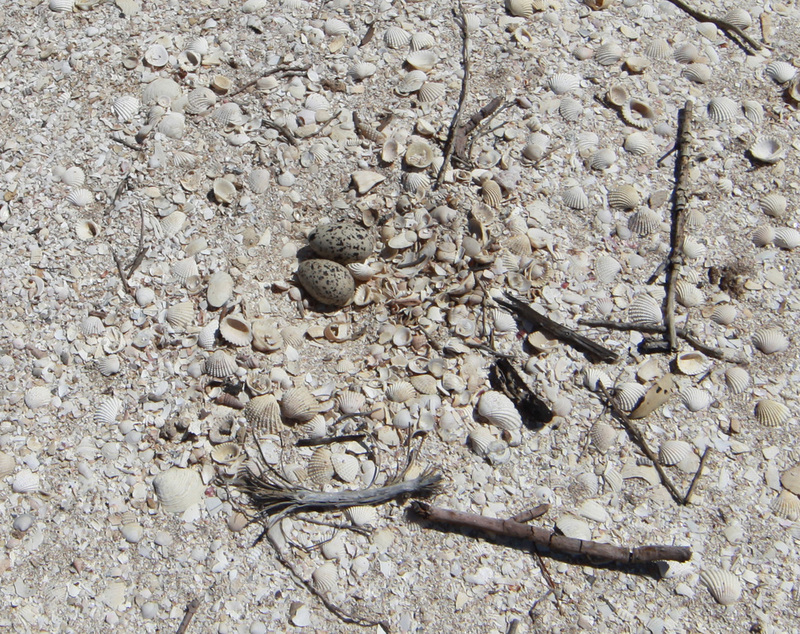 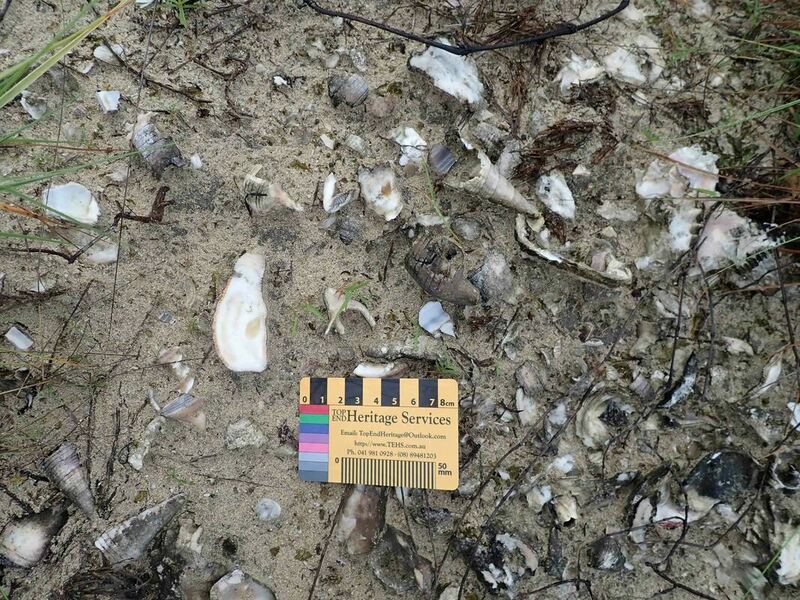 The purpose of this page is to illuminate the difference between shells in middens & shell mounds by graphically demonstrating the processes that conspire to create these features which proliferate across the shallow tropical coast of Northern Australia and elsewhere. 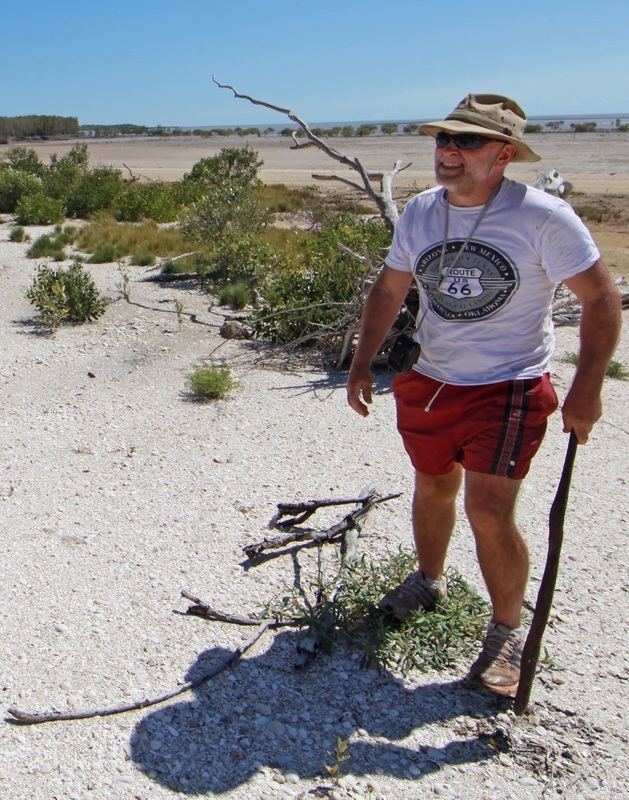 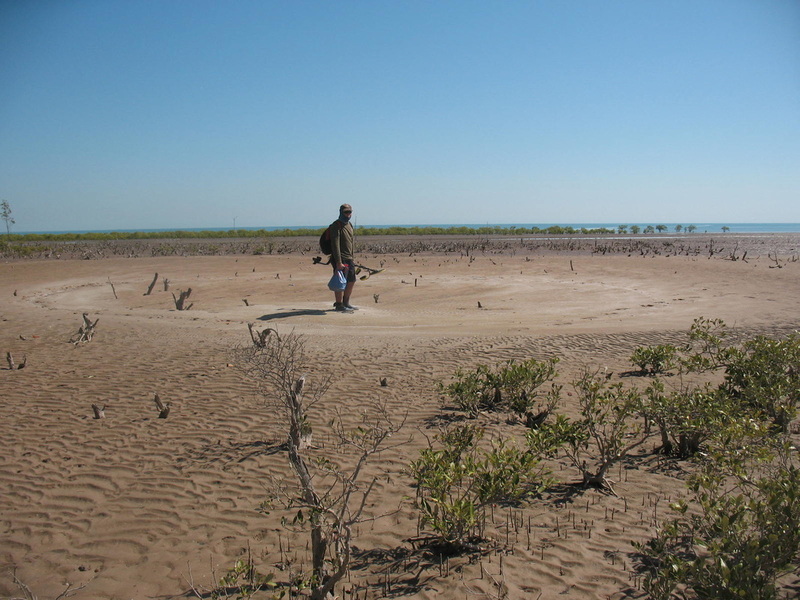 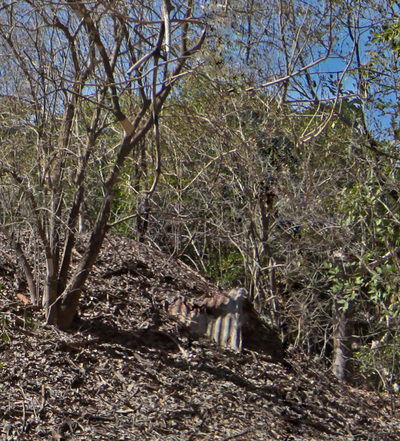 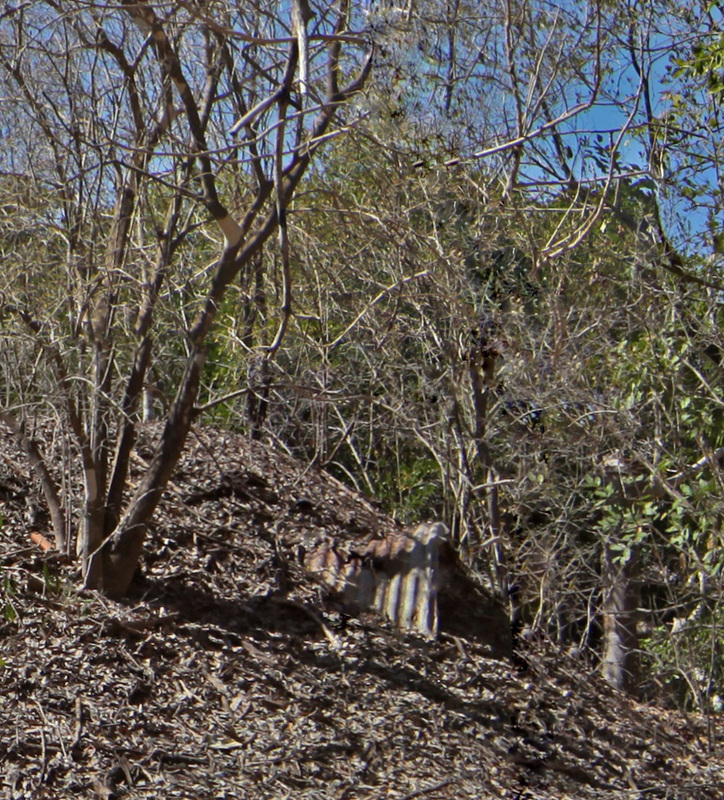 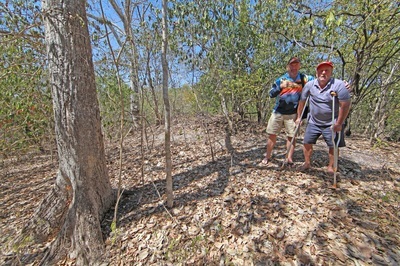 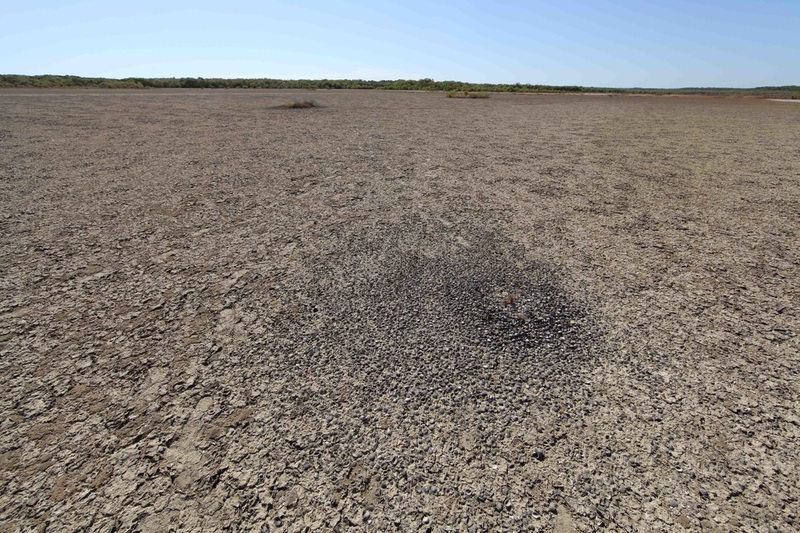 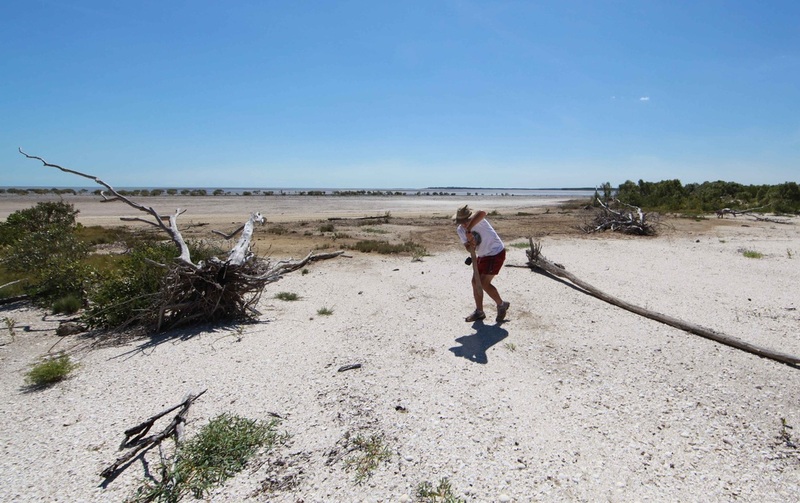 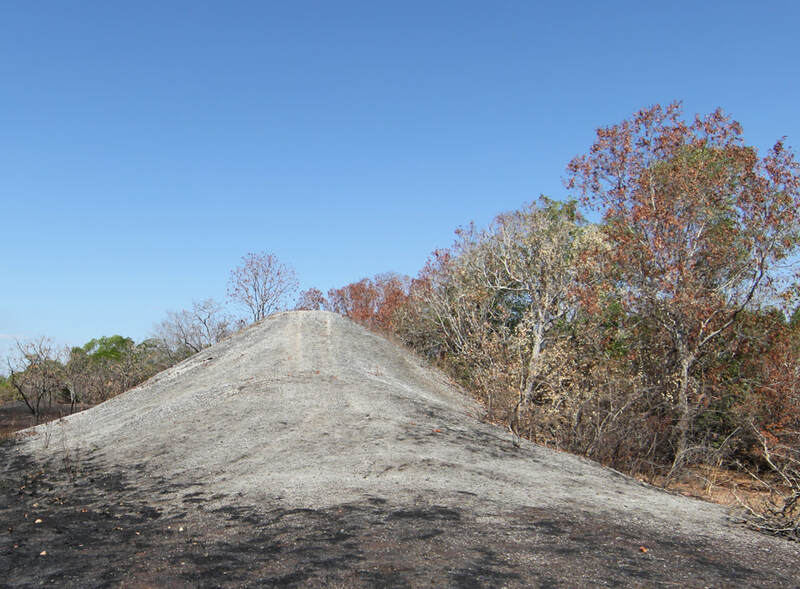 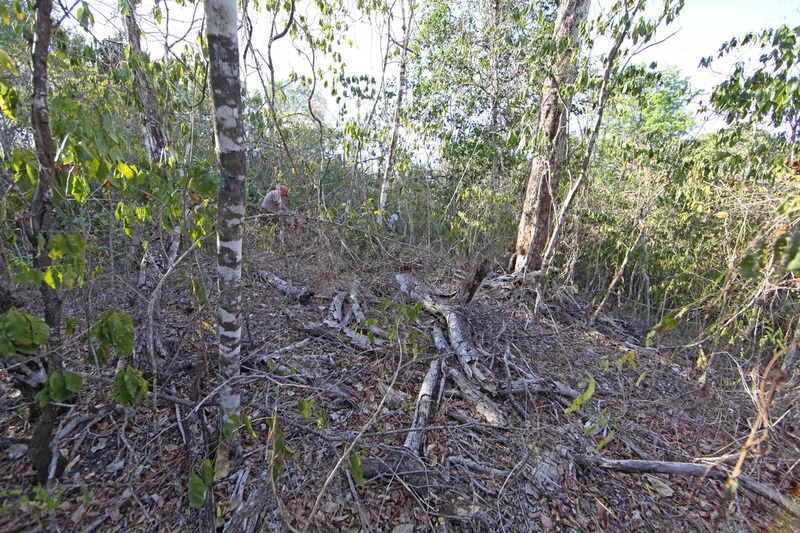 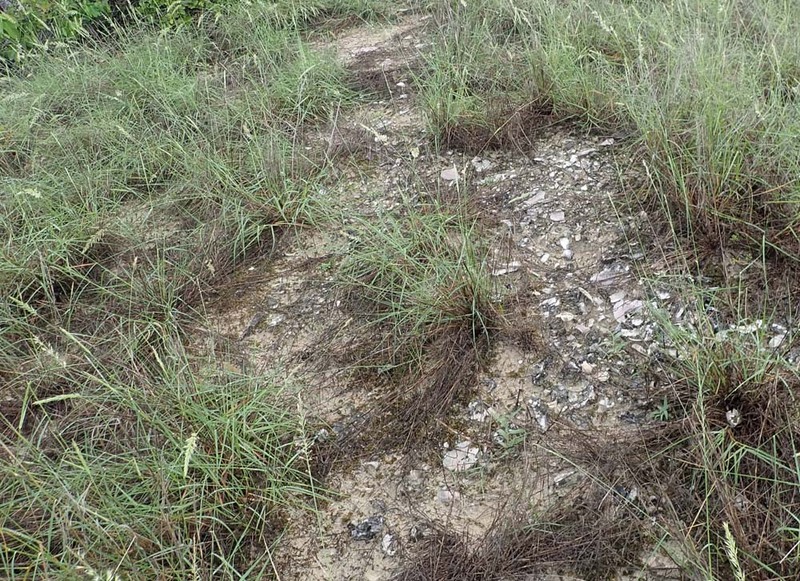 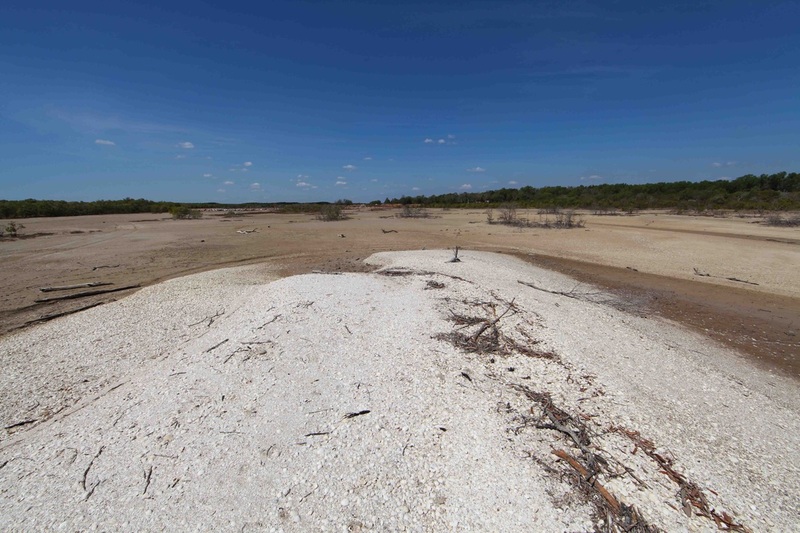 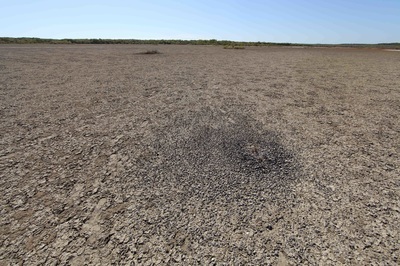 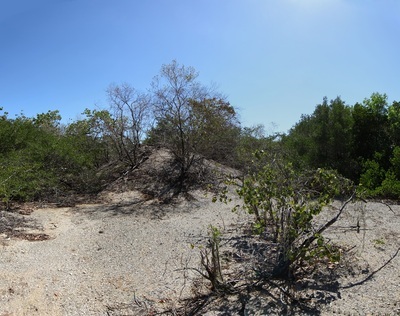 We'll start with middens because we've all been teenagers and these sites are still not hard to find even in the Darwin area. 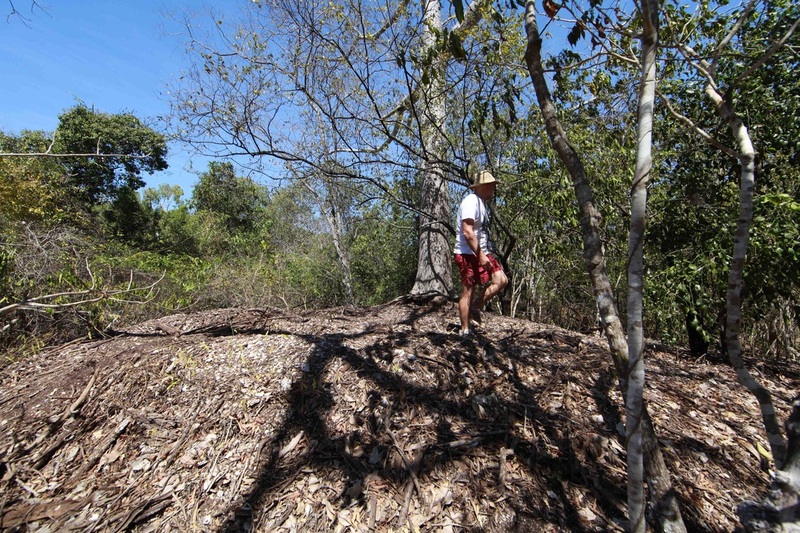 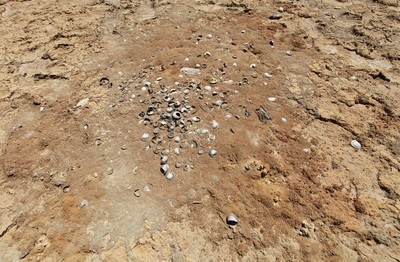 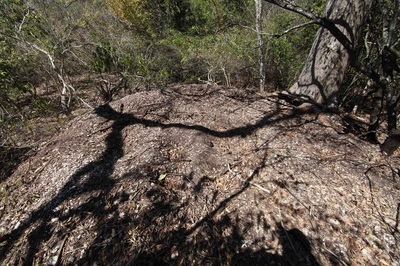 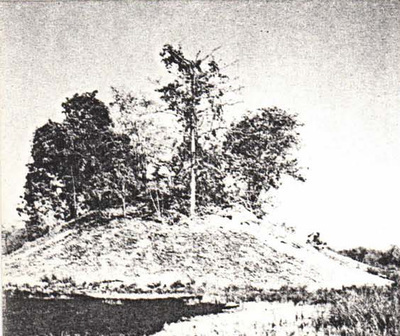 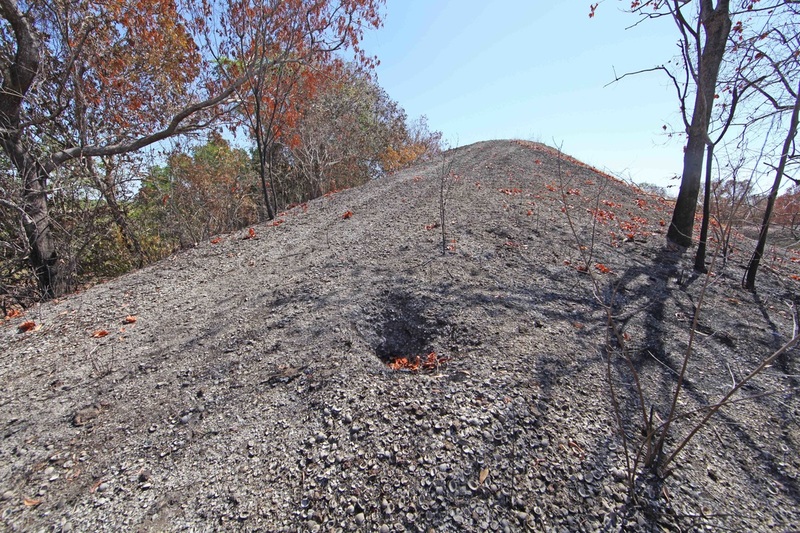 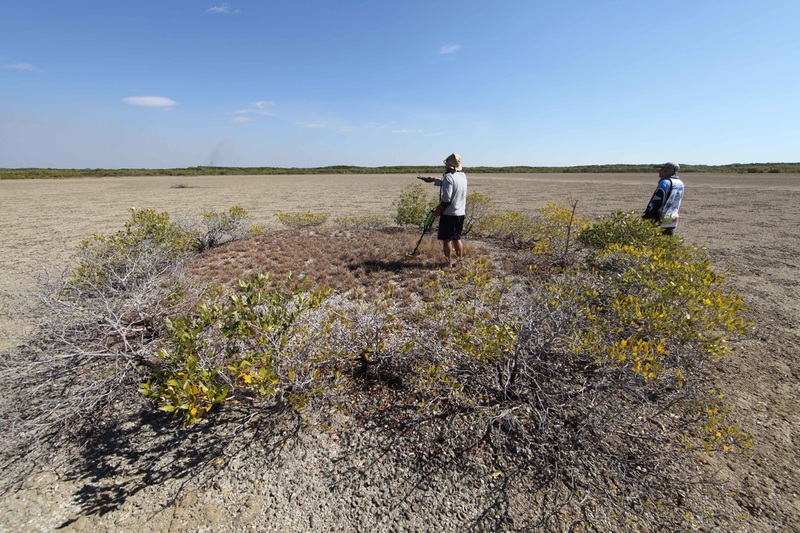 The shell mounds are more complex and the processes mature over quite long periods of time. 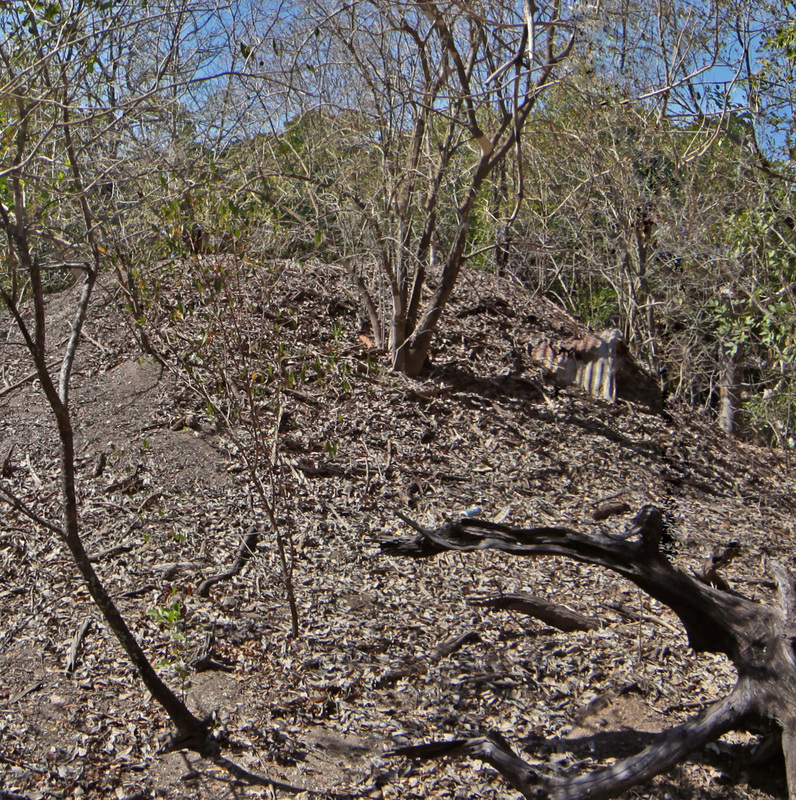 Also the terminology may be unfamiliar & the systems counter-intuitive like wave sorting that leaves the heaviest things at the top. 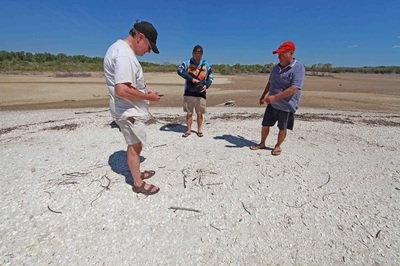 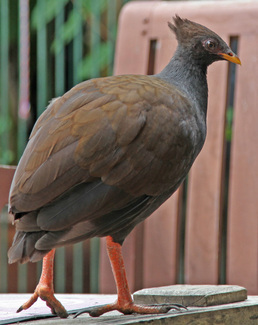 Whilst some will enjoy exploring the ideas behind geo-morphology & geo-chronology it is the images that will tell the story. 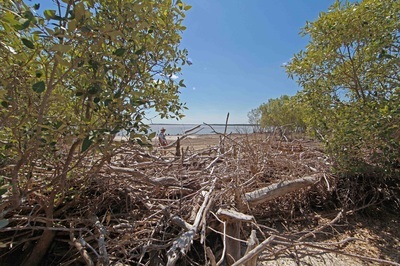 View from the water across shallows to the mangroves & old beach ridge behind covered in coastal vine thicket. 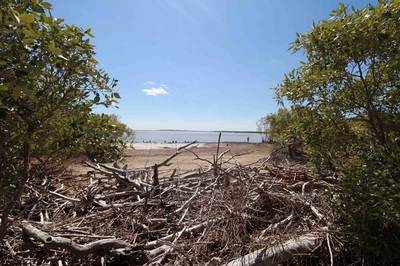 View from current mangrove line out to the developing mangrove line at the lip of the bay. Such a shallow area is ideal for building shoals & mustering shells. 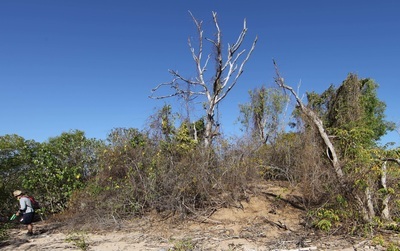 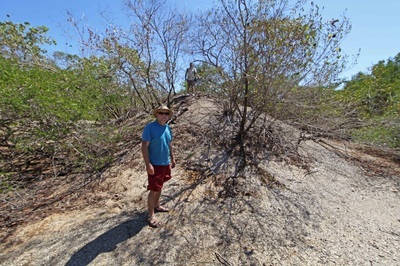 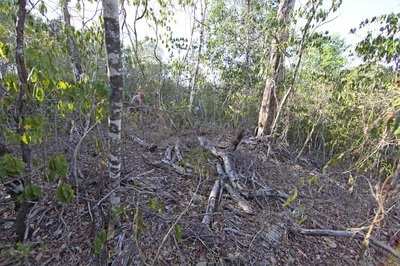 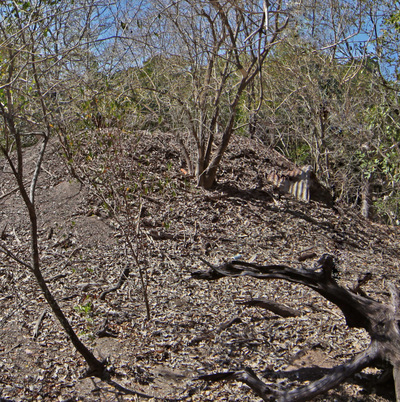 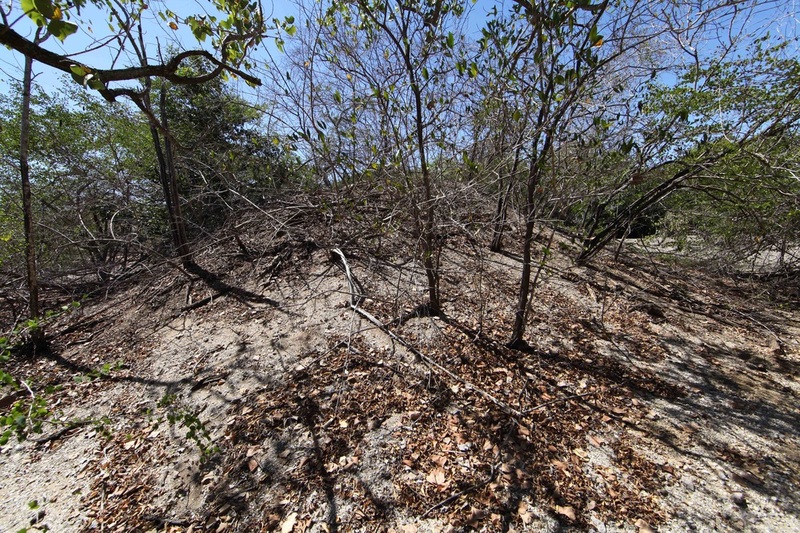 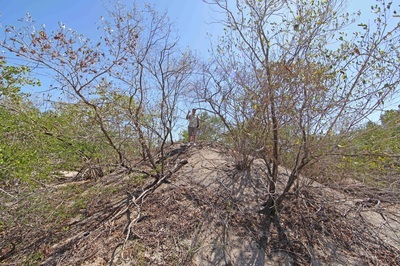 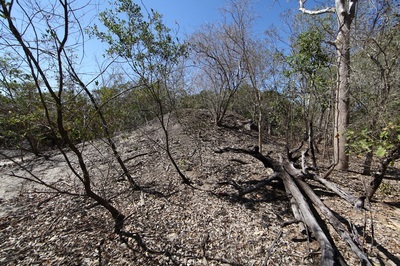 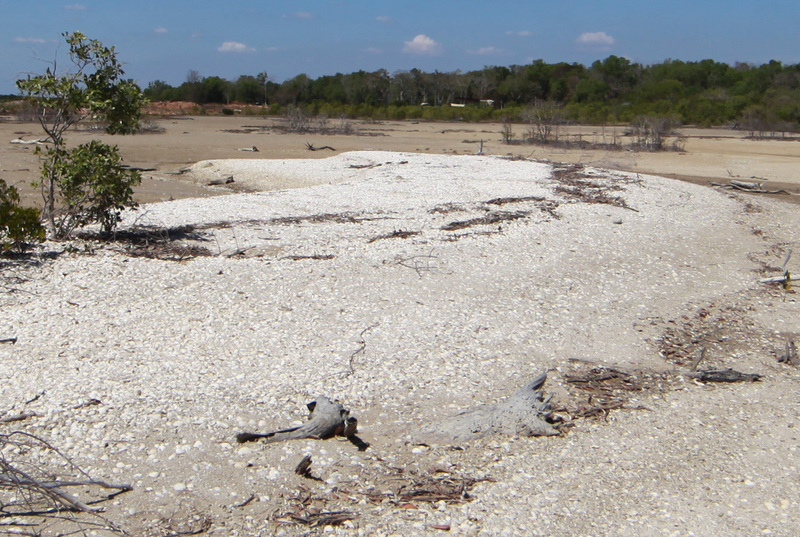 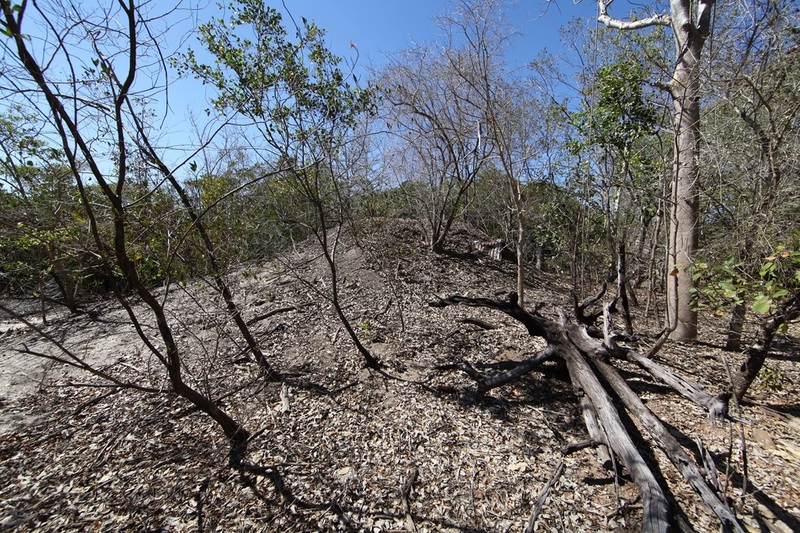 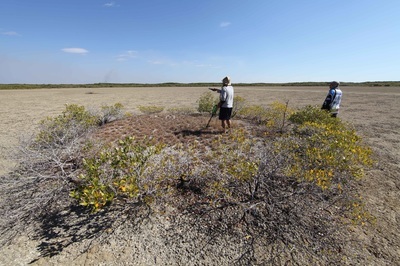 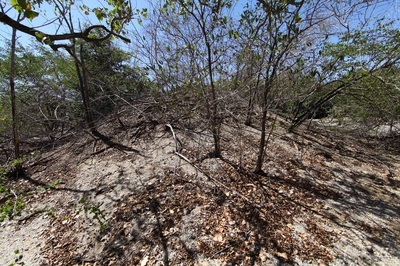 The old beach ridge - as the new beach ridge forms on the lip of the bay the mangrove copse at right is deprived of water & will be engulfed by vine thicket. 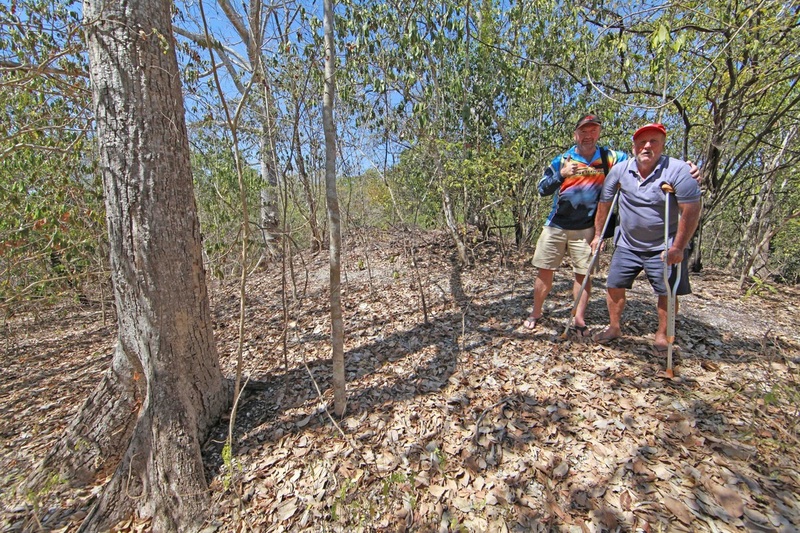 Billy Boustead & Tim Stone discuss the evolution of these beach ridges with the mangrove fringe on the left and vine thicket at right. The washboard plain north of the Finniss River mouth clearly showing the successive ridges. 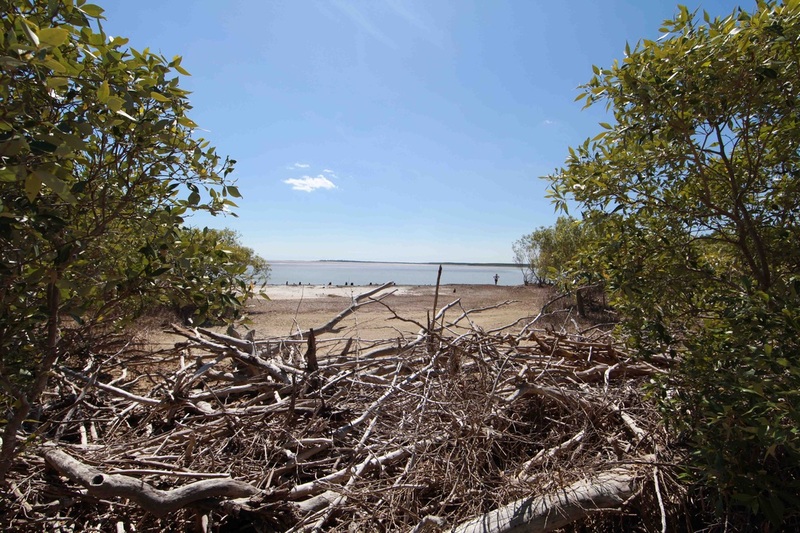 Blood muscles inhabit the anaerobic mud of the intertidal zone - starved of light & oxygen-poor they are reservoirs for viruses. 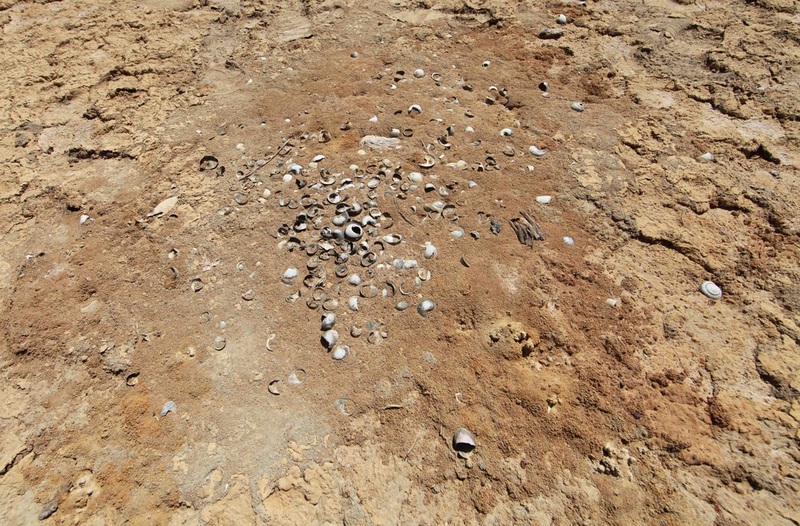 The counter-intuitive Wave Sorting or Sorting-Up process - larger shells are deposited on the top as the undertow winnows out smaller items & silt collects at the base.